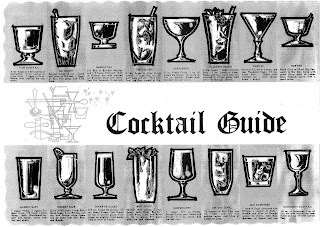 The placemats* at Oscar's Tavern in Philadelphia provide this handy little cocktail guide in case you're in the mood for a Planter's Punch, Gin Rickey, or any other assorted cocktail your father used to drink before he switched to Popov straight from the plastic handle. *My apologies for the crappy B&W scan. It's the best I can do at my office. Why Did I Eat This? Fidel Gastro. Picture Window theme. Powered by Blogger.